How To Create A Website For Free - 5 Easy Step To Get Started! Have you always wanted to create your own website, but weren’t sure how to get started? Maybe you think it’s too costly, time-consuming or overwhelming. In reality, building a website is quite easy and you’ll be glad you took the time to learn how. It’s fun to have your own space where you can blog, educate, and interact with those with similar interests. Overcome your inertia by reading these 5 steps on how to create a website for free. There are many website-building platforms. Since I have created my sites using WordPress, that’s what I’ll be talking about today. Anyone can build a site for free on WordPress. It offers thousands of free themes and plugins, customization is intuitive, and you’ll get the hang of how the dashboard works in no time if you’re willing to put in the time and effort required. To top it off, WordPress is great for search engine optimization. All websites have an area of interest that their content, services, and products are centered around. This content is what will drive traffic to your site. Since you’ll be writing frequently and consistently, be sure and choose a niche you’re passionate about. A niche is a specialized segment of the population that shares a similar interests. If you’d like to learn more, you can read my post on choosing a niche here. Here are a few ideas: If you love to cook, consider creating a site around how to prepare delicious meals. Or maybe you’ve had a health crisis, and have overcome it, and now would like to use your experience and knowledge to help others who are struggling with their health. 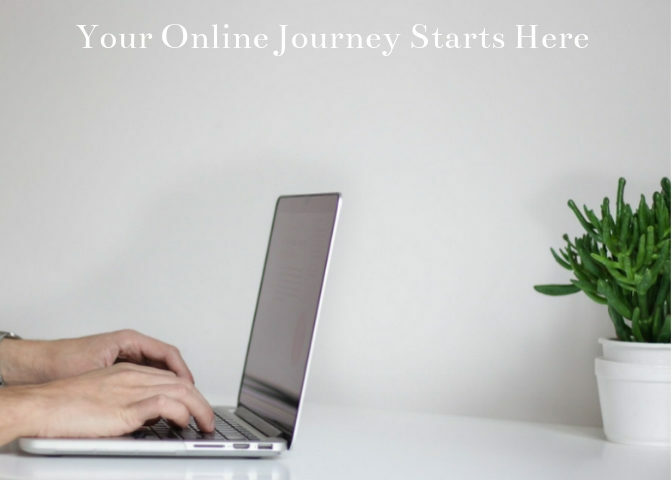 If you have expertise in the area of internet marketing, you could share tips and tricks, teaching others how to get started online. Do you see where I’m going with this? Your niche could be a hobby, a passion, an area of expertise, or even something you’d like to learn more about. Remember, content is king, whether the goal of your site is to blog, build a business, or sell a product or service. Choose a niche you love as you’ll be busy writing a variety of articles pertaining to it. If you’re having a hard time choosing a subject, take a few days to brainstorm. Come up with several potential ideas, gradually narrowing them down, until you land on one that sticks. Have fun exploring possibilities! Now that you’ve selected a niche, you’ll need a domain name to go with it. Let’s say your niche is centered around fitness. Your domain should clearly reflect the main purpose of your website. For instance, the benefits of being fit, and the best ways to get in shape. Here are some potential domain names to spur your imagination: myfitnessblog.com, foreverfitness.com, or letsgetfittogether.com. I’m just randomly throwing out some examples to give you a general idea about domain names. Your domain name should be relevant to your niche. Choose a name that’s easy to remember, is unique and catchy, and not too long. Avoid slang words, and words that have multiple spellings, to avoid confusion. You can learn more by reading my post on how to choose a domain name. Here is a list of free domain-name generators to help in your selection. Some names you come up with may not be available, so if you are set on a certain name, consider tweaking it a bit to see if that changes its availability. Since I’m a member of Wealthy Affiliate, an online university for affiliate marketers, I use their domain registrar to search for and purchase my domains. Read my review of Wealthy Affiliate here to learn more. The siterubix.com domains are completely free when you sign up for a free Wealthy Affiliate membership. You can join and start building your site without handing over your credit card, which is the main reason I chose to become a member. I’m always suspicious of any platform that requires a credit card to get started. And if you already own a domain name like I did, you can easily transfer it to Wealthy Affiliate. Now that you’ve chosen your niche and your domain name, you’ll need a way to get your site online. This is where hosting comes in. There are a number of different hosting options online, such as HostGator, GoDaddy, Web.com, Bluehost, Justhost, and HostPapa. 24/7/ support – this is invaluable! You’d pay a hefty monthly fee – $75.00 in fact – to enjoy these same benefits with any other hosting platform. You can read an in-depth article on hosting here. Now that your site is up and running, it’s time to get creative and start customizing your theme. Choose from over ten thousand free WordPress themes to see which one best suits your brand. Don’t forget to preview them before installing on your site. Add your tagline, your logo, and a favorite image to make your site uniquely yours. Create a home page, a blog roll, a contact page, and an “about me” page. Your site is now looking like a bonafide website. Use your creativity to make additional changes, and add functionality to your site, with the hundreds of available plugins WordPress offers. With a free Wealthy Affiliate membership, you can build two websites without handing over a dime. Check out this training for more information. Now that your site is hosted, it’s time to start writing, which is the reason you created your website in the first place. Inform, entertain, and engage your readers by creating content around tips and tricks to make their lives easier. Content marketing is by far the best way to drive traffic to your blog, establish relationships, and ultimately, make money. Ideally, you should write a blog post every week. This sends an invaluable message to your audience that you’re invested and committed to your business, and you care about those within your niche. And while you’re at it, don’t forget to share your articles on all your social media platforms. I use Site Content to write my content, and then publish it directly to my WordPress site. Using a writing platform makes creating content easier and more enjoyable. In fact, I’m using Site Content right now to write this post. You could also use a free writing tool like Google Docs. Over time you’ll establish yourself as an authority in your niche, positioning yourself as an expert, by producing high-quality content. It will take some dedication, for sure, but soon you’ll have a following that can’t wait for your next informative article. There you have it. 5 steps to building a website that will serve you well for years to come. Wealthy Affiliate makes its easier than ever to get started creating a future and a life that you love. Get started today! Have you always wanted your own website, but didn’t know where to begin? Are you more clear now on the steps that need to be taken? Please take the time to leave a comment or question below. Your interactions helps all those reading this post! this sounds so straight forward to do with an exceptional package put into place for support there after. You’ve covered a lot of information to help the reader decide on what would be the best way to start a website online for the first time. If you want an online business in this day and age you have to have a website to showcase what your business is online and to stand out from the crowd. I believe these five steps are a great way to get a website up and running. Thanks for your comment. Yes, getting a website up and running is quite simple. You’ll want to fine tune your customizations over time, and of course, create awesome content on a weekly basis! This is a great, detailed article, explaining how to build a website. This is basically the best way to start your own website or blog. I love WordPress and I would never recommend anything else for building a site. I also agree with you here…content is KEY! Its so exciting to start a niche site and build it into an online business. Thank you. Yes, I agree, WordPress is a great platform for building websites. It’s easy to use, and there are so many themes and plugins available, but what really makes a great website is the amazing content! Creating a website sounds so intimidating if you’ve never done it. By breaking it down into these 5 steps it suddenly sounds doable. I joined Wealthy Affiliate over two years ago, knowing absolutely nothing about building a website and affiliate marketing and they provide excellent, in-depth training and advice for each of these five steps. I agree with you about the importance of posting quality content on a weekly basis (at least). You need to be consistent about posting in order to be considered a valuable resource in whatever niche you’ve chosen. Yes, posting quality and consistent content is so important, to not only build your brand, but trust with your audience as well. Thank you for taking the time to leave a comment.